We are now taking bookings for our January Winemaker Dinner, which will be hosted by Winemaker Barry Riwai of Alpha Domus Wines. This very special evening will feature a five-course degustation menu designed and prepared by Eichardt’s Executive Chef, Will Eaglesfield. Each of the five courses has been expertly matched with one of Alpha Domus’ legendary wines. Winemaker at Alpha Domus, Barry Riwai brings with him strong wine making experience particularly with Chardonnay, having been with Clearview Winery in Hawke’s Bay for 10 years. Originally from Hamilton, Barry moved to Hawke’s Bay in 1997 to study winemaking and viticulture at EIT. Barry has also worked for, Ngatarawa Wines, Church Road Winery, and in the Loire and Bordeaux regions. Barry has judged in New Zealand and Australian wine shows for many years, including the Royal Easter Show Wine Awards, Spiegelau International Wine Competition, Romeo Bragato Wine Awards and Australia’s leading event, the National Wine Show. Barry’s wife Amelia is also a winemaker with her own consultancy business Swirl Wine. They live in Napier with their three young children Jacob, Florence and Oliver. 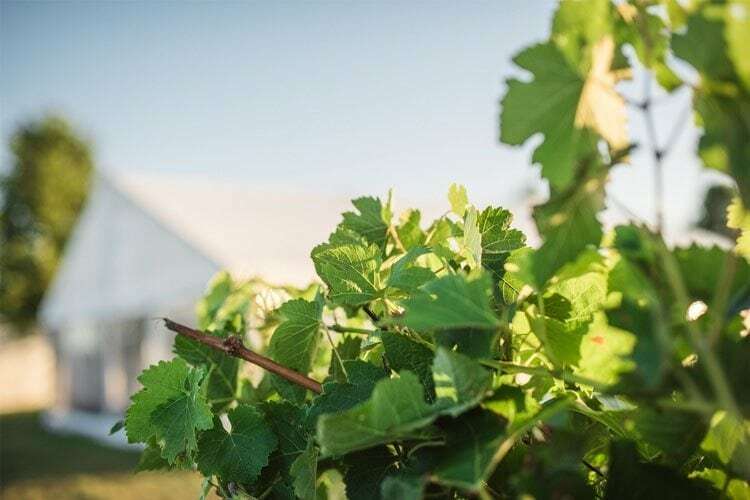 Alpha Domus, located in the heart of the prestigious Bridge Pa Triangle sub-region of Hawkes Bay, has for the past 25 years been quietly getting on with producing stunning exclusively estate-grown, single vineyard wines. From these soils Alpha Domus winery produces world-class wines from a wide range of varietals; key wines include Merlot Cabernets, Syrah and Chardonnay. Founded by the Ham family in 1990, it remains 100% family owned and is renowned for its AD, Alpha Domus and Pilot ranges. The name Alpha Domus was inspired by the first name of each of the five Ham family members that established the company; from the eldest through to the youngest, parents Anthonius & Leonarda and sons Paulus, Henrikus and Anthonius – Domus is Latin for house. The biplane depicted on Alpha Domus’ logo and labels is in tribute to the many pioneer pilots who trained on de Havilland “Tigermoth” biplanes at the historic Bridge Pa Airfield, located in the vicinity of the Alpha Domus vineyard and winery. Today Tigermoths and other colourful vintage aircraft are often seen in the skies above the vineyard. The Tigermoth has connotations of romance, history, lasting design, beauty and passion; all elements found in great wine. Seats are strictly limited and will again sell out quickly. As a priority invitation, to secure your seats simply email us at events@eichardts.com or call us on 03 441 0450 and to make your reservation for the evening.